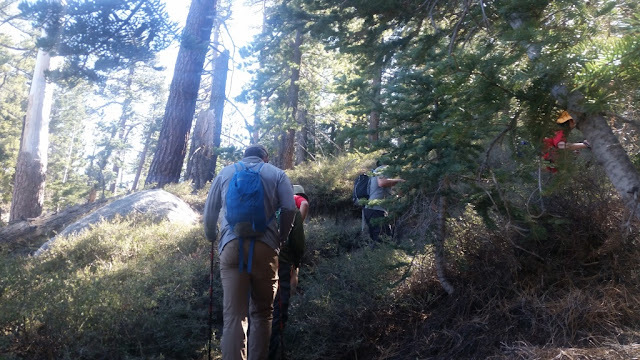 Went up Seven Pines Trail Saturday May 28, the ranger said it was unmaintained and he was right, it was slow going in some spots. 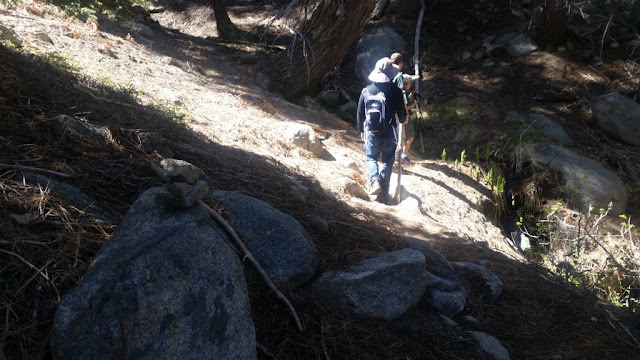 Besides the trail being covered with pine needles and cones, it was easy to follow, there were several cairns along the way. I was expecting lots of downed trees, but it wasn't too bad. Each crossing of the North Fork had water, which was nice. 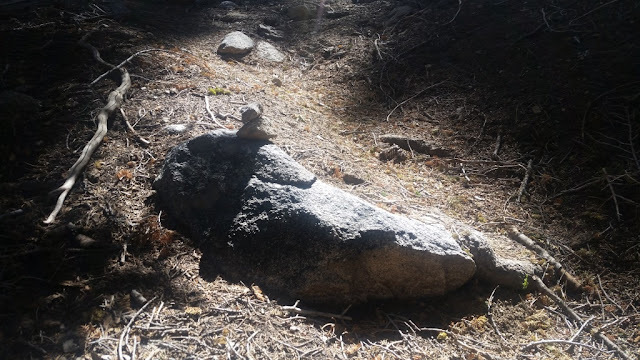 There was only one spot that the trail instinctively looked like it went right (where it was nice and clear) but it actually went left, and we found the cairn to confirm. Once up on Deer Springs Trail, it was nice. There was water flowing great at Deer Springs crossing, and of course Bed Springs was gushing. 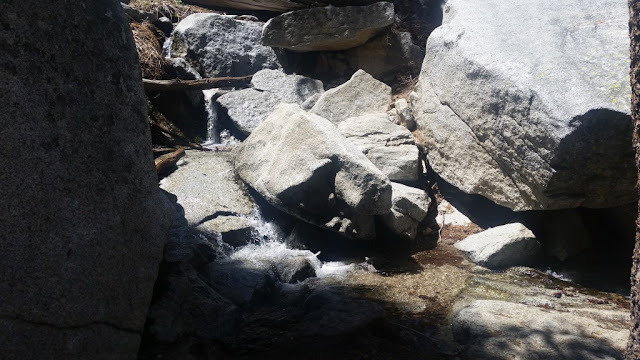 It was flowing so much that I expected water at Little Round Valley, but it was bone dry. 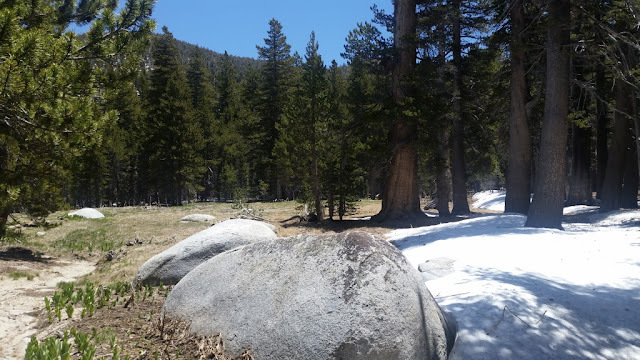 It's worth the short hike for campers to get water at Bed Springs, or melt the snow in camp. 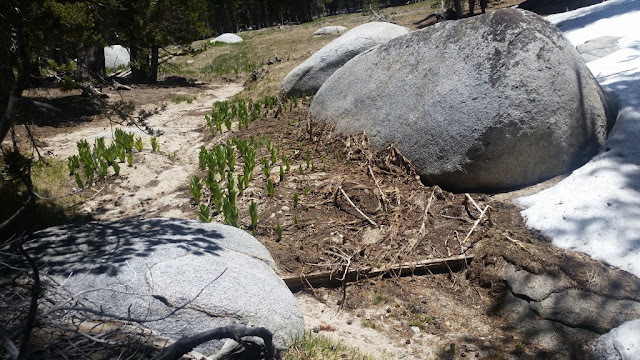 A Scout troop we know stayed at Round valley and came through Wellmans, but they told us Round Valley was dry. Plenty of water in the west! 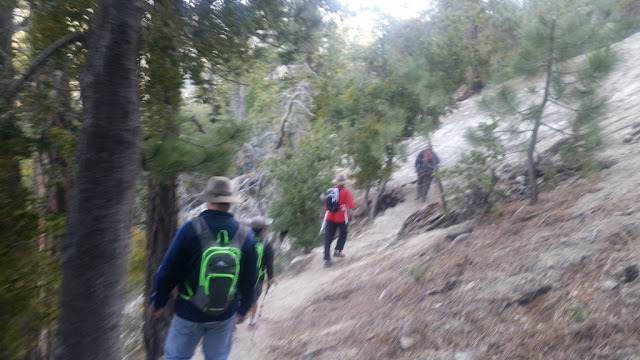 We continued the next day to summit Mt Baldy, then Memorial day was San Gorgonio where we met Hikin Jim on Trail checking permits. This was all part of Adventure 16s 3 Peak Challenge, back again for 2016. Pretty impressive that a Scout troop did the three saints in one weekend! Particularly impressive since a lot of troops nowadays just do car camping. Nice to see you on the trail, Rich.